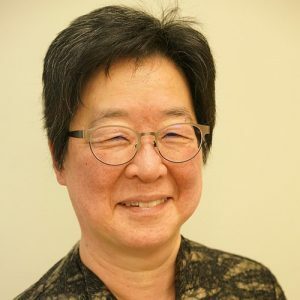 Nora Liu is the project manager for Racial Equity Here, a joint project of Government Alliance on Race and Equity (GARE)/Race Forward and Living Cities, that supports a new cohort of cities to proactively advance racial equity. Nora brings over twenty years of experience working with communities to improve racial and social equity. For ten years immediately prior to joining GARE/Race Forward, she worked to serve Seattle’s communities of color through her positions within the City of Seattle. Most recently she was the Community Development Manager for Seattle’s Office of Planning and Community Development (OPCD) where her work created policy, tools, and practices to leverage public and private investments to meet community goals and to support the ability of historically marginalized communities to shape their own futures. Nora was one of the major authors of Seattle’s Equitable Development Initiative (EDI)—which works towards a Seattle which is diverse and where all people can achieve their full potential regardless of race or means. Its components include: Seattle’s Comprehensive Plan with race and social equity as a core value; an Equity Analysis to inform the City’s Growth Strategy; the Equitable Development Implementation Plan, a roadmap to systemic change; and community based Race and Social Equity Leadership. The EDI is a joint effort of OPCD and the Office for Civil Rights / Race and Social Justice Initiative.